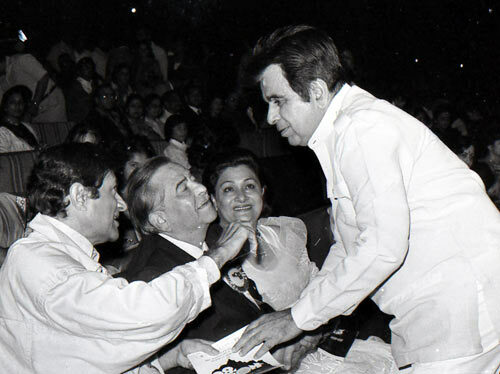 One of the top actors of all time in Bollywood, Dilip Kumar (born Yusuf Khan) turns 90 today, December 11. Even superstars like Amitabh Bachchan and Kamal Haasan are fans of the legend. We look back at the thespian's life in these beautiful pictures taken by ace photographer Gopal Shetty. 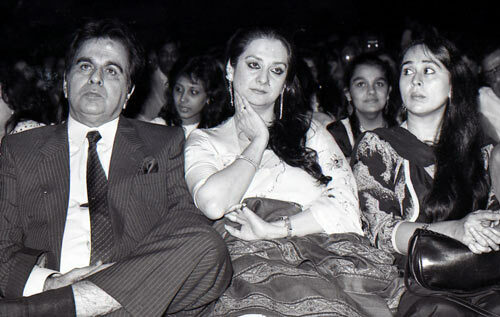 We start with Dilip Kumar and his wife, Saira Banu, at a public event. Saira Banu has been Yusufsaab's rock from the time they got married in 1966. In fact, on his 89th birthday last year, she invited the entire film industry for a grand party and even took to the dance floor herself. 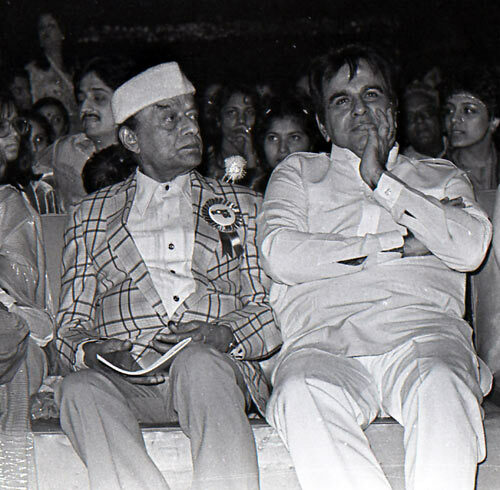 Dilip Kumar, Raj Kapoor and Dev Anand were the top heroes of their time and yet, did not take their rivalry very seriously, and were cordial with each other. Here, they are seen interacting with each other, even as Raj Kapoor's wife Krishna Raj looks on. Dilip Kumar worked with Raj Kapoor in Mehboob Khan's 1949 film Andaz, and with Dev Anand in SS Vasan's 1955 film, Insaniyat. 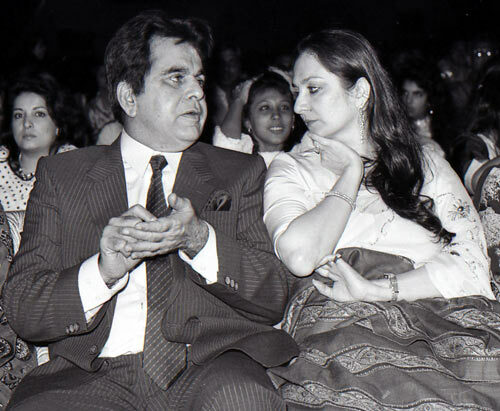 Dilip Kumar's career has spanned six decades and over 60 films, and he has been awarded with prestigious honours like the Dadasaheb Phalke award and the Padma Bhushan award. 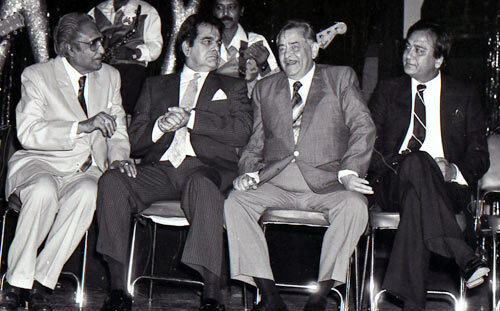 Dilip Kumar enjoys a chat with colleagues Ashok Kumar, Raj Kapoor and Sunil Dutt. 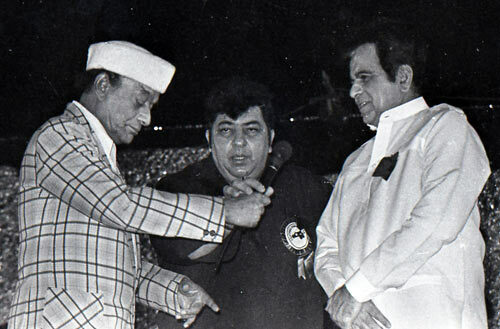 Dilip Kumar and Amjad Khan had one thing in common -- both of them hailed from Peshawar. Popularly called Tragedy King, Dilip Kumar was described as "the ultimate method actor" by the brilliant filmmaker Satyajit Ray. 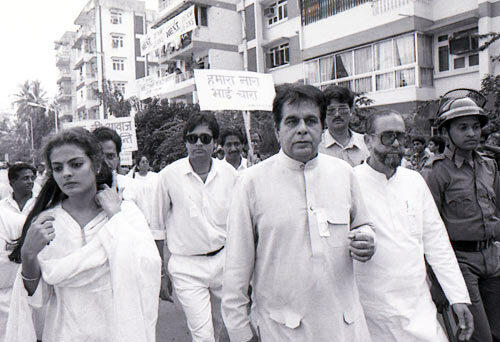 Here, Dilip Kumar is seen in a rally with actress Sheeba. 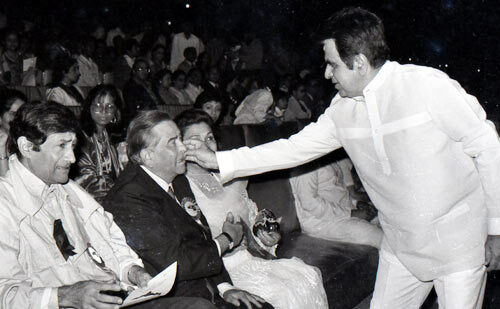 Here's wishing Dilip Kumar a very happy birthday!